Shrimp paired with carrots, cabbage, and garlic, wrapped in a traditional dumpling wrapper. A classic Asian-style dim sum, Kabobs’ Shrimp Potsticker provides your guests with great flavor, and a wealth of serving suggestions. Including a color, savory mix of shrimp, carrots, and cabbage. The Shrimp potsticker can be steamed, boiled, fried, or grilled. 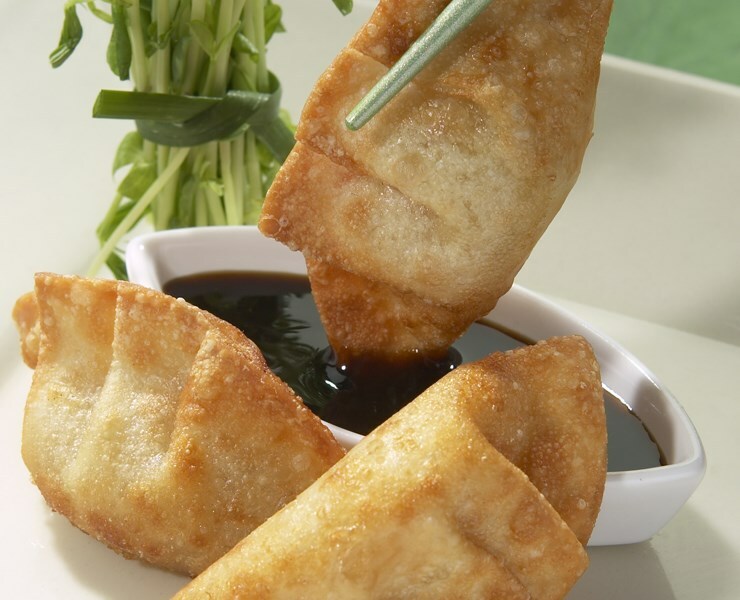 In addition to their versatile preparations, Kabobs’ Shrimp Potstickers can be adopted with a variety of accompaniments to create unique, culinary experiences. From frozen must be STEAMED in a Steamer for 6 - 8 minutes or DEEP FRIED at 350° F for 4 - 6 minutes Until Internal Temperature Reaches 165 ºF as Measured by Use of a Thermometer.